I don’t know about you, but I have baby fever. Baby chick fever, that is. Check out my 5 reasons to keep backyard chickens! We’ve been getting a ton of snow and extreme cold temps lately. Despite the dreary winter weather, the longer days are giving me a glimpse into Spring. In case you didn’t know, Spring = baby chick season. Even though we’re maxed out with our current chicken capacity (womp womp), I’m still dreaming of baby chicks. 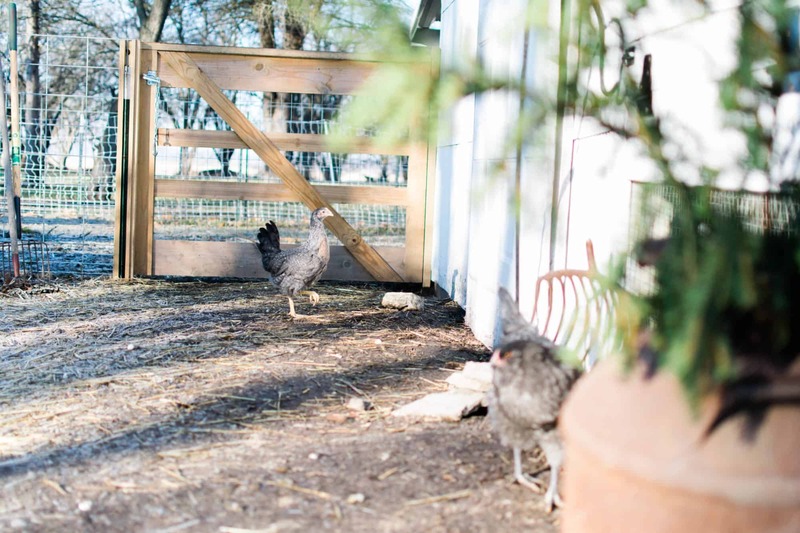 Considering adding chickens to your backyard or homestead, but need some convincing? Below are 5 reasons to keep backyard chickens. 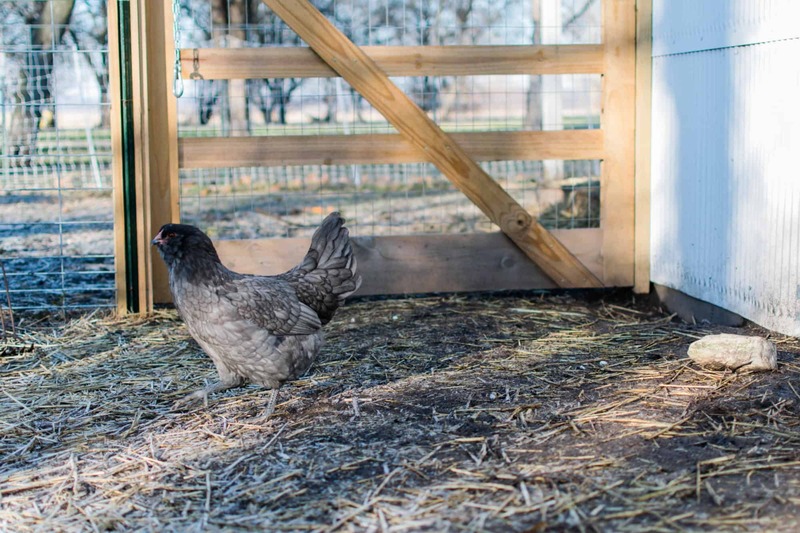 You don’t need much property to keep backyard chickens. If you have a backyard, then you can probably have backyard chickens. 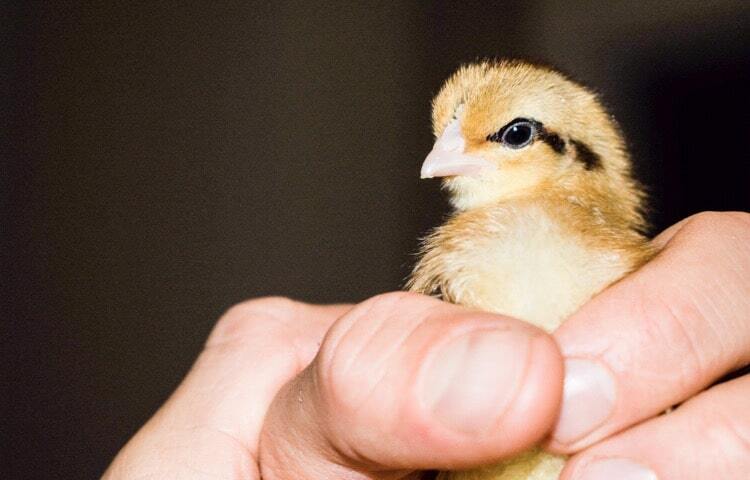 Before you place the order for some baby chicks, double check the rules and regulations within your town. Often times, towns will allow you to keep a handful of chickens in your backyard! If you’re only planning to add a few chickens to your backyard, then the start up cost is relatively low. The most expensive (one time cost) is the chicken coop. You can buy an absolutely darling chicken coop from a local tractor supply store for around $200. If you’re handy, then you can build one yourself to keep the cost even lower. Day old baby chicks are ridiculously cheap, too. In case you needed more reasons to keep backyard chickens, you can currently pre-order your baby chicks from an online hatchery for $2.99. Doesn’t get much better than that! Our adult backyard chickens always have free choice access to chicken layer feed, grit, and water. We store our food scraps in a bowl throughout the day, and then give them to our girls in the morning for a healthy snack. 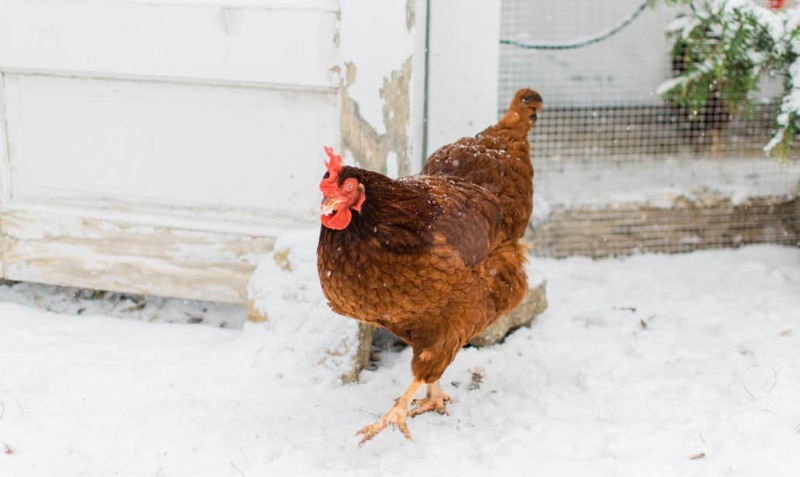 We find ourselves spending more money on layer feed during the colder months, primarily because our backyard chickens don’t have as many opportunities to forage. On average, we spend about $30 per month to feed 20 chickens a high quality, 100% organic non-GMO feed during the winter. This cost also includes bedding and grit. If you allow your chickens to roam freely around your backyard, then they will probably eat less feed during the warmer months. A significant portion of their daily diet will come from eating bugs and grubs, which will greatly reduce your feed cost. Just another reason for keeping backyard chickens! 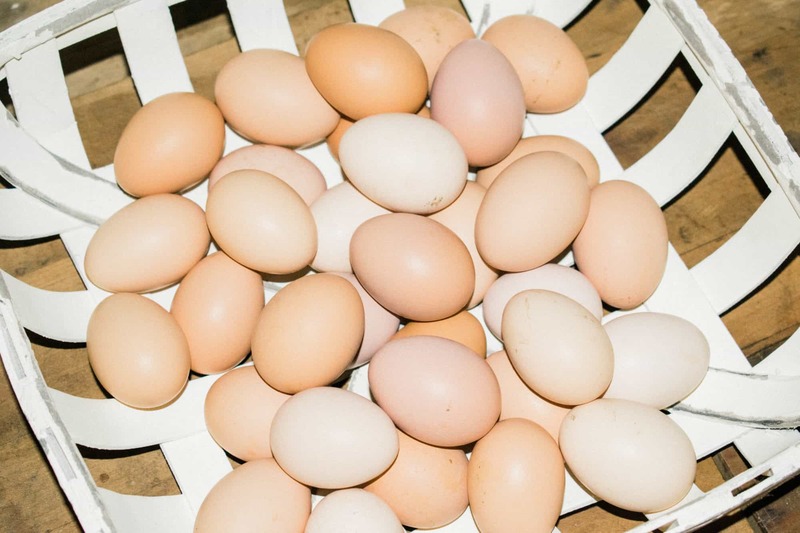 Have you ever eaten farm fresh eggs? If not, then you’re seriously missing out. Probably one of the most compelling reasons to keep backyard chickens is for the eggs. Eggs from happy, free range chickens taste so mild and delicious. The yolks are a deep orange color, which means that the chickens have been foraging and eating a wide variety of bugs. Happy chickens = delicious eggs. We haven’t purchased eggs from the grocery store in over 6 months. I love knowing that our decision to keep backyard chickens has allowed us to stop supporting an industry that treats chickens so poorly. I won’t go too far into this topic, but it’s just another reason why we’ve chosen to homestead. When we first made the decision to keep backyard chickens, I had no idea that chickens have such funny personalities! I initially felt very intimidated and nervous around our chickens … until I realized that they’re the coolest. They get so excited to see us and chase us every morning. 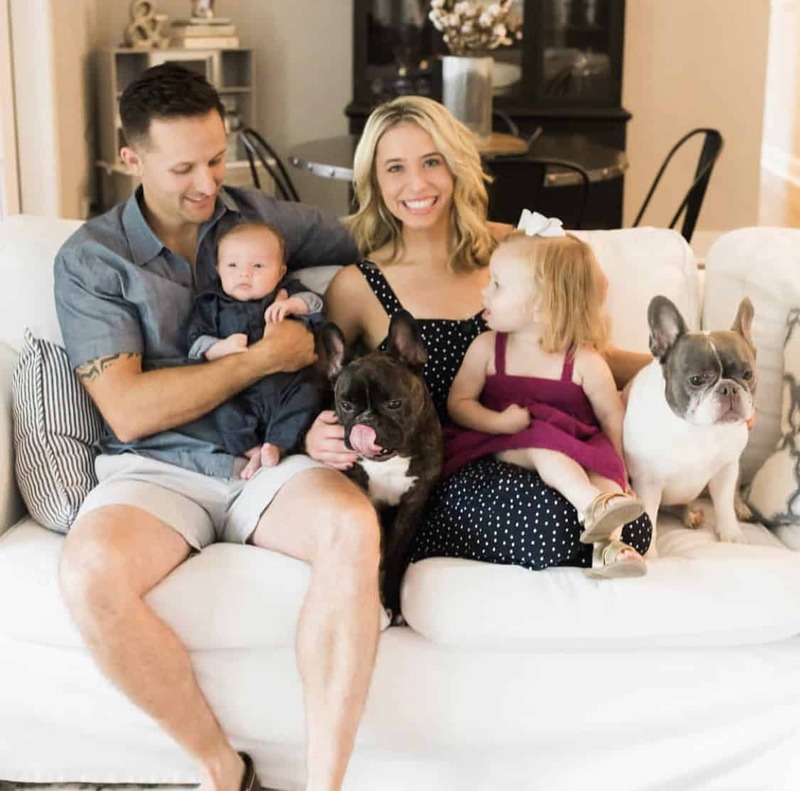 Chickens are such a fun animal to have while raising kids as well. Plus, farm germs are good immune system boosters for little ones. If you have kids, then add it to the many reasons to keep backyard chickens! 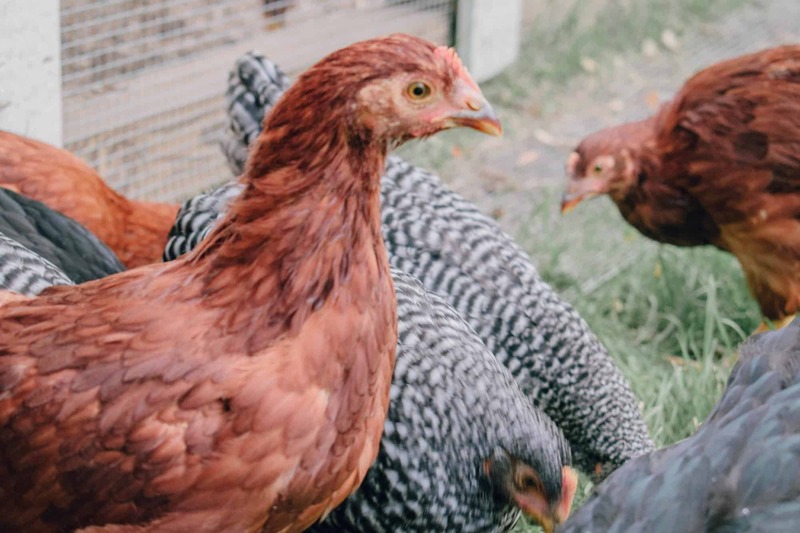 I hope you find these 5 reasons to keep backyard chickens helpful! Do you have more than 5 reasons to keep backyard chickens? Let me know in the comments below!